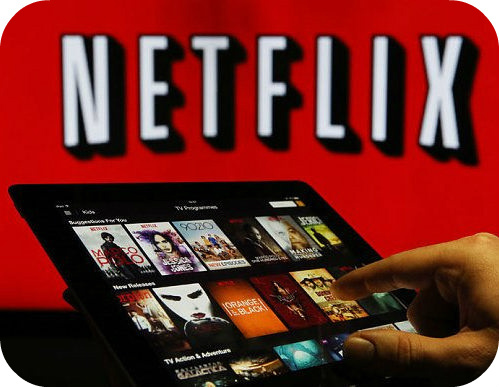 When Netflix launched its video streaming platform in the late 2000s, all of the titles featured on the service came from other movie studios and production companies. If you boot up your account these days, though, most of the TV shows and films listed on the homepage are owned and produced by Netflix itself. Over the last few years the streaming giant has invested heavily to create its own content. By one estimate, Netflix spends more than $8 billion annually producing original movies and TV series. As a result, the company has loaded up on billions of dollars worth of debt as it builds a massive library of content. Along with taking out multi-billion dollar loans, Netflix has also raised its subscription rates several times in recent years. In fact, last week the company announced that it would once again increase prices on all of its plans by $1 to $2. While Netflix’s baseline rate of $8 per month will go up to $9, its $14 plan will jump to $16 per month. Experts say that the extra cash flow should ease the concerns of some investors who fear the company is taking on too much debt. For the time being, however, Netflix appears to be thriving with more than 58 million subscribers in the U.S. and 137 million more across the globe. Still, other analysts say that Netflix investors have plenty of reasons to worry about the future. First of all, the company will soon face even more competition than its standard rivals like Hulu and Amazon. Disney’s new streaming service will launch in 2019, followed next year by platforms from WarnerMedia and NBCUniversal. The latter service could be extremely worrying for Netflix since two of the company’s most-streamed titles are the NBC sitcoms The Office and Parks and Recreation. In fact, Netflix already had to pay $100 million to Warner Brothers just to keep Friends in its streaming library for 2019. As the company loses big licensed titles like these, the hope is that its huge reserve of original content will make up the difference. But for every hit like Orange Is the New Black or the recent film Bird Box, it seems like there’s a dozen other Netflix titles that quickly disappear from the memories of both viewers and critics. So if Netflix can’t keep its audience interested in an ever-changing lineup of original TV and movies, those viewers might not be willing to continue paying higher prices. Why is Netflix raising its prices once again? Do you think Netflix will lose customers as some of its major titles go to other streaming platforms, or will subscribers stick around for Netflix’s huge library of original content? Source: Jill Disis and Frank Pallotta, “Netflix Is Raising Its Subscription Prices,” CNN Business, January 15, 2019. Photo by Lyncconf Games.